With the help of desktop imaging software, imaging your desktop should be a simple thing. The freeware AOMEI Backupper software can image your computer in a few clicks. Why you want to image your desktop? As a desktop user, you should have already know the risks with your computer, and there are plenty of reasons why you should image your desktop. Although desktop is different from laptop, it still faces those problems, desktop fails, system crashes, virus attacks, hard drive broken, etc. Any situation you meet would be a great damage to you, unless you created a disk image before. The desktop images are used for deployment. If your computer fails, you can use the images to deploy your Windows. It will save a lot of time and energy for re-installing system and it will minimize the damage of losing data. How to image your desktop? 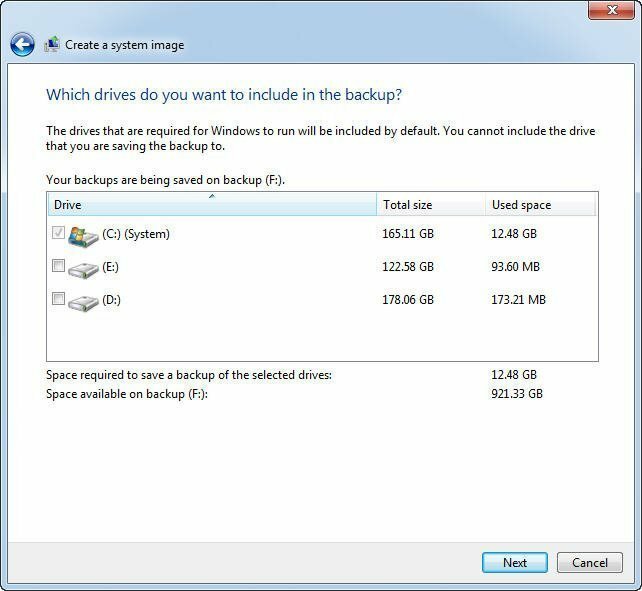 Imaging your desktop is an exactly backup for your computer’s hard drive. How to do it? You can use the Windows built-in tool, or you can use a desktop imaging software to finish the task. Different Windows operating system has different feature for imaging your desktop. Take an example of Windows 7. 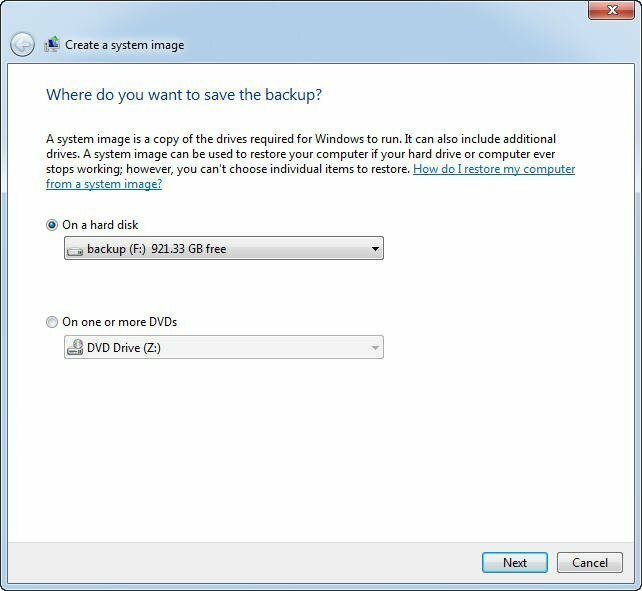 Click Start-> System and Security-> Backup and Restore to open the window, then, click “Create a system image” to start the operation. Then, select a place to save the backup. You’d better backup to external hard drive for its security. Here, you can choose what to image. To image the entire desktop, you need select all drives below. Finally, confirm and start backup. After the backup, it will pop out a window to ask if you want to create a system repair disc, and yes, because the system repair disc will help you boot your computer. However, imaging desktop with Windows built-in tool would take a lot of time and a large space to store the image. To save time and space, here we highly recommend you a powerful desktop imaging software -- AOMEI Backupper Standard. AOMEI Backupper Standard is a powerful desktop imaging software with Backup and Restore utility. with the help of this freeware, you can quickly image your desktop in a simple steps. Step1. Plug in your external hard drive, make sure your computer can detect it. Download the desktop imaging software free. Install and launch it. 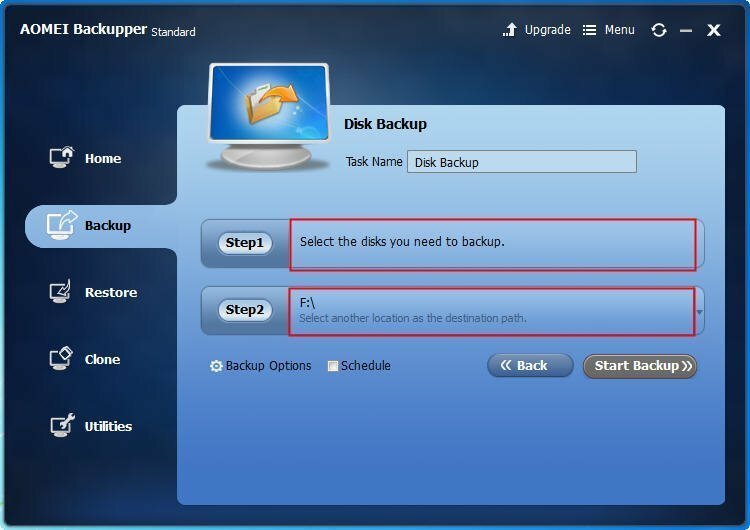 It will show you the main interface of AOMEI Backupper, click Backup-> Disk Backup. Step2.You will move to the disk backup page. Here, you should click “Step 1” to select the disk you want to image (the hard drive on your desktop with system on). Then, click “Step 2” to select the external hard drive as the destination place to store the image on. 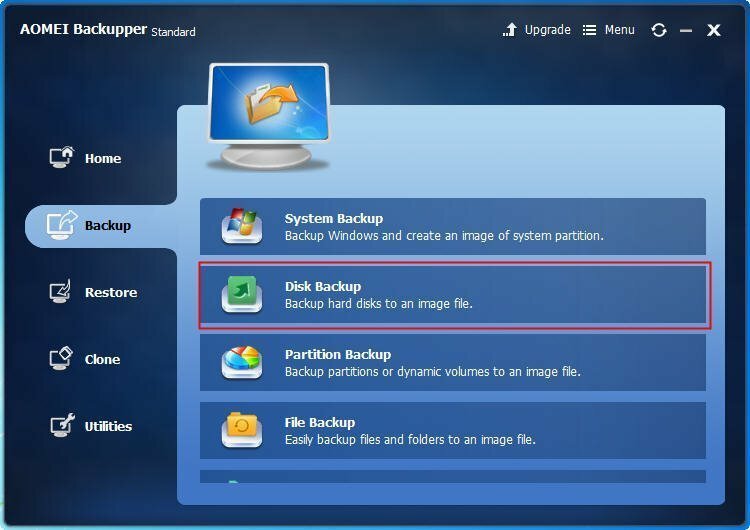 ● If you need to backup to a smaller hard drive, you can click “Backup Options” to compress the image. ● You can also do a schedule backup with the function “Schedule”. Step3. After the settings, click Start Backup to executed the task. When the progress reaches 100%, click Finish to exit. With the help of computer imaging software should be easier and more flexible. AOMEI Backupper supports Windows 7/8/10 for free, and you can use it to create a bootable media so that you can use to boot computer from it. 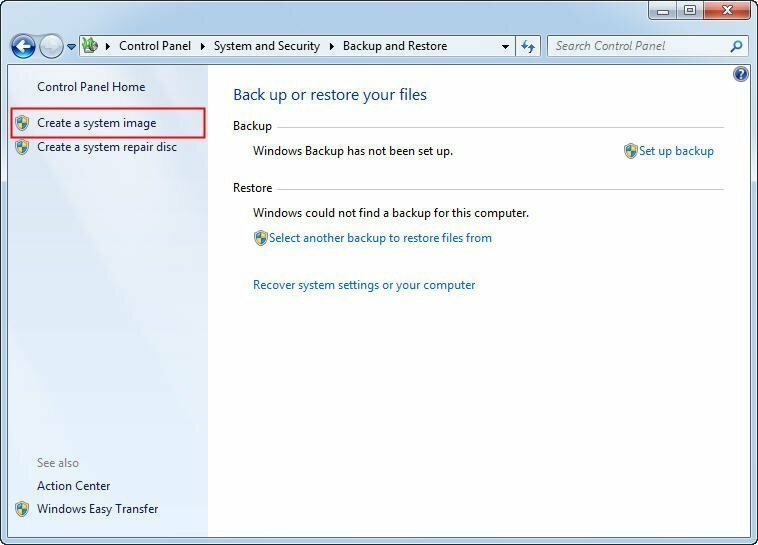 When you need to restore image to your desktop, the AOMEI Backupper provides you deploy Windows 10 image, restore Windows 7 system image backup, even restore Windows 7 to another computer. It has many other utilities, like clone system, clone hard drive, etc. In a word, it is a powerful desktop imaging software and it can do the best to ensure your data safe.